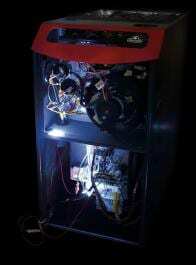 The 9600 Series furnace is the only gas furnace made in Canada. It features a two-stage gas valve and a variable-speed energy efficient ECM blower motor. Napoleon’s two-stage furnace reduces temperature swings within your home, maintaining a more consistent, comfortable temperature. At up to 96% AFUE, the 9600 furnaces will operate on low fire for greater efficiency and comfort for most of the heating season. On colder days, when the first stage cannot satisfy the heating demand, the furnace can (automatically) switch to the second stage, producing more heat to satisfy demand. Ultimately this balancing of the heat production results in quieter operation cycles and less energy being consumed throughout the heating season. An added benefit is increased comfort due to better balanced temperatures in the home. 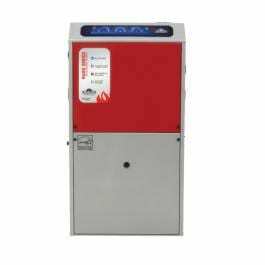 For more information about the 9600 series furnace, please visit the Napoleon Heating & Cooling website. The Napoleon 9700 series gas furnace offers ground breaking efficiency – 97.1% – the most efficient two-stage gas furnace on the market that reduces temperature swings within your home, maintaining a more consistent, comfortable temperature. These furnaces will operate on low fire for greater efficiency and comfort for most of the heating season. On colder days, when the first stage cannot satisfy the heating demand, the furnace can (automatically) switch to the second stage, producing more heat to satisfy demand. For more information about the 9700 series furnace, please visit the Napoleon Heating and Cooling website. Atlanta, GA, March 05, 2012 – The Napoleon® brand is a leader in the home comfort industry and is well known for creating innovative products for their Fireplace, Gourmet Grill and HVAC divisions. On March 2nd at the HPBExpo Vesta Awards in Atlanta Georgia, Napoleon’s HMF200 and 9600 Wood/Gas Furnace Combination was honored with winning the Central Heating Systems Category Award and went on to win the prestigious Daniel J. Melcon Award for Best-in-Show – Hearth Products. The HMF200/9600 Combo Furnace won for its industry first design, green technology and fuel saving capabilities. When the fire in the wood furnace dies down, a second thermostat calls for heat and the gas furnace starts. 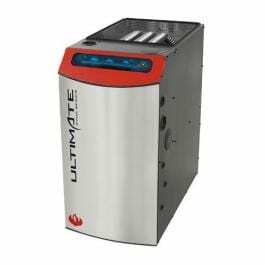 As an added bonus, the ultra efficient gas furnace also features a DC motor that can save up to 80% on electricity bills. Napoleon® manufactures both the wood and gas furnaces in their Barrie, Ontario facility and unlike other manufacturers, the entire combination is backed by a warranty as a system – another first in the industry. The Vesta Awards were created to recognize and honor companies for their innovation in product design and technology in the Hearth, Patio and Barbecue Industry.